At the end of April 2007, something particularly amazing happened to me: I got a phone call from the Googleplex! A lady informed me that Google has found out about me (how? Using Google maybe!) and asked me if I was keen to answer a few questions. I said yes, got the questions and managed to answer them satisfactorily. A few days later, someone else from Google called me and I had to endure a very long and relatively tough phone interview. Of course, I didn’t do that well (or else I would have been in the Googleplex instead of being in Quatre-Bornes) but I’m happy I went through this. Since launching Knowledge Seven Ltd, I’ve realised that I love being my own boss. I don’t know if I would have really enjoyed working in such a major company as Google. Of course, I’m still a fan of Google… but maybe a little less than in 2007. All in all, that unsollicited interview from the Googleplex confirmed something I’ve have believed since I was a kid: I am not half bad. And this is what drives me to do what I do. 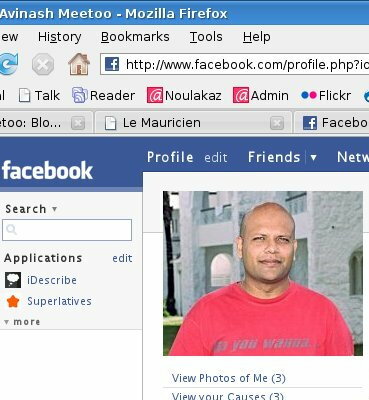 8 November 2007: Facebook: A Mauritian tragedy? For a few hours in November 2007, Facebook was blocked by Mauritian ISPs at the request of the ICTA while they were contacting the Facebook admins to delete the false profiles of a few Mauritian politicians (including the Prime Minister.) I wrote at that time that I didn’t like the smell of that and the whole issue felt like someone was being overzealous. Mauritius has always been a country where people glorify politicians beyond the reasonable. For instance, once someone said to the then Prime Minister: “ou zis ein pé pli tipti ki Bondié” (which translates to “You are just a little less formidable than God”.) I wonder what Obama would say if he heard that from someone. Maybe something like “Stop being an idiot!” The problem is that a lot of people do not understand how democracy works and do not realise that a member of Parliament or the Government is, strictly speaking, elected by the people to represent them and work for them. Nothing more. Nothing less. The guy from the ICTA who asked ISPs to block Facebook (Must be a guy! Girls are more intelligent.) and the ISP guys who ceded (ditto) only managed to prove that they were completely clueless about how the Internet and, consequently, that real world inhabited by the Obamas, Kawasakis and Scobles really works: based on reputation only. 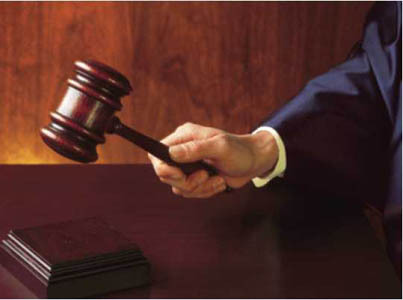 3 March 2008: What is the fair use policy? In March 2008, Mauritius Telecom introduced the fair use policy which essentially states that the bandwidth of those who download too much will be decreased and, if that person continues downloading, drastic measure might be taken. I questioned the legality of retrofitting such a policy in our existing contracts and up to now I have had no satisfactory answer. What is fair use actually? Can we compare someone watching stupid videos on YouTube all day long with someone watching videos from the MIT or Harvard all day long? They are both using a large amount of bandwidth but are they the same? And what’s wrong with watching stupid videos? They MT guys and girls do watch stupid serials when they get home, don’t they? What I mean is that something which is important to me might not be important to you. As the MT people cannot decide what is important or not, they limit everyone. And this is dangerous. Society evolves because people innovate. And to innovate, one must be exposed to what is happening elsewhere, use those things, stumble upon problems and come up with exquisite solutions. Mauritius, being far from the center of the world, people mostly use the Internet to know and to experiment with what is happening elsewhere. Imposing a fair usage policy is, in this sense, antipatriotic. Knowledge Seven Ltd started its public life in November 2008 with the launch of its website. As you all know by now, Knowledge Seven Ltd is my company and we provide consultancy, support and training services for Linux, Java as well as other open source software. We have organised two Linux training courses up to now and they have been relatively successful. An Object-Oriented Programming in Java training course is starting on 20 April 2008. Places are limited and I advise people to book their seats early. I have also consulted for Constance La Gaieté Ltd to set up a secure connection between Constance and their Port-Louis office using commodity hardware, open source software and a normal ADSL line. And I’m happy to say that they are very satisfied. I have also signed a support contract with FUEL Sugar Estate which is the biggest sugar factory in Mauritius to make sure their massive Linux servers there work well. I want consultancy and support to be a side business for Knowledge Seven Ltd for the time being. The reason is that I do not want to strain myself. On the other hand, I really want the training part to thrive. Founding a company is a lifetime experience. During the past few months, I’ve had to learn about business strategy and business plans, finance, accounting, marketing and public relations. I’ve also spent a lot of time traveling to various offices and talk to myriad of people to get all the papers sorted out. But I have to tell you that I am loving it. I also have to tell you that I’m currently getting substantially less than what I was getting as salary at the University of Mauritius. But I also have to tell you that I couldn’t care less as being your own boss is really something extraordinary. 2009 will be an important year for Knowledge Seven Ltd because I am planning for the company to grow substantially and I’ll need to recruit a few people. Of course, I’ll keep you all posted. Once again, thanks for visiting my blog and giving me the incentive to write. I wonder what Obama would say if he heard that from someone. dude! you are still with the obama thingy.. hahahahahaha that’s funny! Its like you are saying obama is the most perfect creature on earth. l’obama ne peut jamais se trompE! :p saw that obama video postedo n hackers.mu, check it out. Hello, I just came by your blog, its very interesting. I can see that you are a big fan of Google, but right now Google’s search engine has a competitor in the name of Bing. As Bing is a Microsoft product, it must have some vulnerabilities. And as Bing is new, not much has been found on its vulnerabilities. So which according to you is the best search engine Google.com or Bing.com? And why not the other? From what I’ve heard, Bing is good too. Choose whatever you feel the more comfortable with.